HANcoder is based on MATLAB® Simulink so this needs to be installed first. 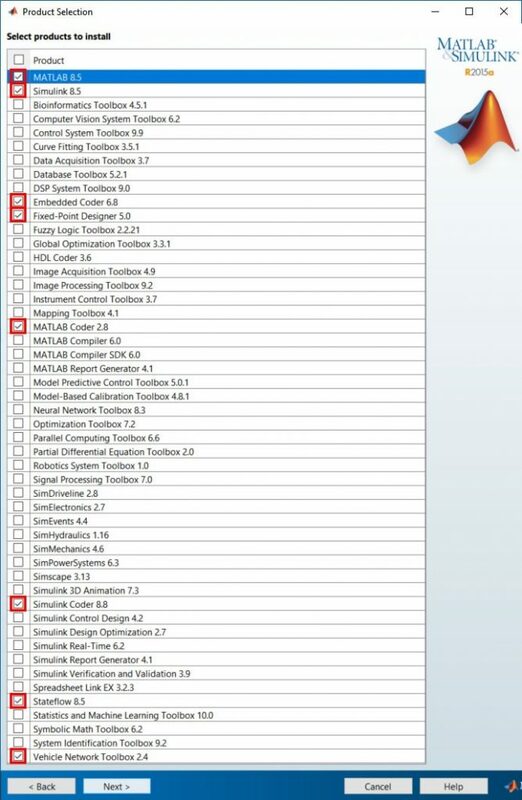 If you already have MATLAB® installed check if the version is supported and check if you have the necessary toolboxes. This page shows the installation procedure of Matlab and how to run Matlab as an administrator. MATLAB® can be downloaded from the MathWorks® website. As can seen in the figure below, you can find the download on the products page. You’ll need a Mathworks® account to download products of Mathworks®. 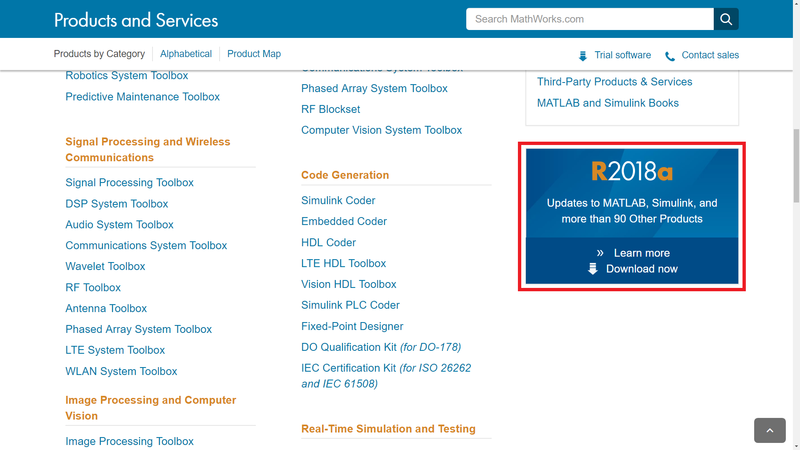 The installation steps for MATLAB® are documented on the MathWorks website. Please follow the steps as indicated on the website, the steps for older MATLAB® versions are similar. Be aware of the additional installing info, located below, that is important for the use of HANcoder. 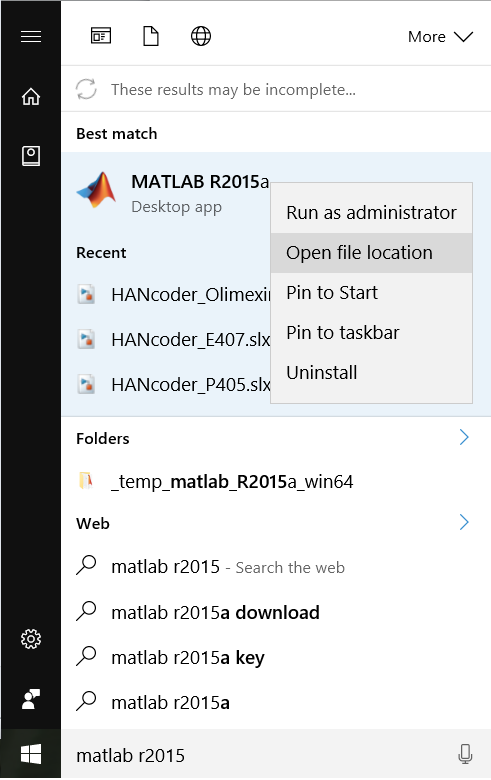 Step 1: Go to the location where the shortcut to MATLAB® is located. Step 2: Right click on the MATLAB R2015a shortcut and select properties. 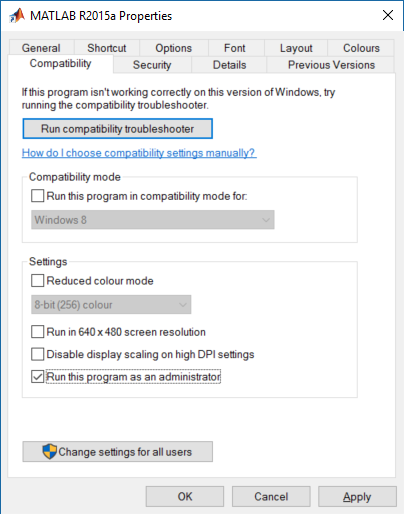 Go to the Compatibility tab and select Run this program as an administrator. Click apply.